Looking to get more playtime for your players this summer? Do you want to see where your teams are at before your first competitive tourney? 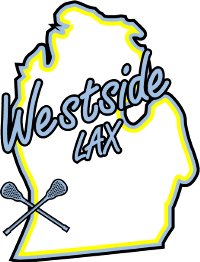 Are you looking for a friendly, laid back lacrosse environment to have fun and enjoy the game? 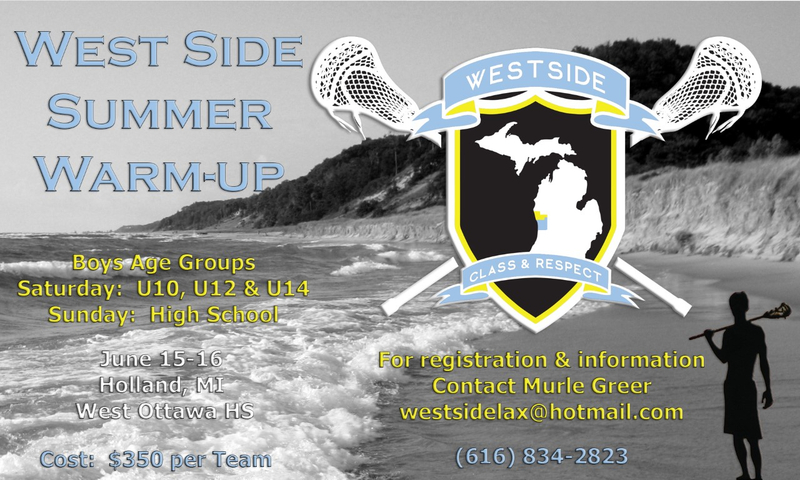 If you answered yes to any of the questions, then The West Side Summer Warm Up Tourney is for your program. The Warm Up is a friendly tournament designed to get all of us ready for our summer seasons. Scores, wins and losses are not the focus of the day. Fun and respectful lacrosse is the priority. Teams come from all over Michigan to participate. Over the last couple years programs from Kalamazoo, Flint, Traverse City, Lansing and all over West Michigan have attended. This is our 4th year running this smaller event and it has been getting better every year. Start your summer season off right with an affordable and fun tournament designed to bring out the best in our game. The tournament is located just a couple miles from Lake Michigan and close to numerous hotels and restaurants. Make a weekend out of it or just come down for the day.